Have you ever wondered why I always address you (my team) as Shelf Reliance Leaders? It is because I believe you are the best of the best. You are the consultants who are and who will shape Shelf Reliance. As some of the very first consultants (remember we are only 2 years old) we have the chance to affect the company, the consultants under us, and our customers. Earlier this month Shelf Reliance hosted its second convention for consultants. It was definitely a time for me to “stretch and grow” If you didn’t make it to convention, we missed you. And you missed an amazing opportunity. tonight I’m going to share with you a few things that I learned at convention. How did convention help me to stretch and grow? This is our entry video, I don’t have one from convention. But I’m sure you will get the idea. You might not know this about me but I am not really a talent show participator. I am more of sit on the back row of the audience kind of girl. Participating in the talent show was a great experience, it helped me build friendships, get out of my comfort zone, and really take part in convention. This is what being a consultant it like for me a lot of the time. I don’t love the spotlight, but being willing is a big part of being a consultant. 2. Mingling. One of the best things about convention is being able to mingle with other consultants. Being able to meet face to face with those I work with but have never met was a great experience. I wish we had more time to sit and chat. 3. I taught a workshop on Customer Service. My workshop provided me with the opportunity to really evaluate what I think great customer service looks like and how I can offer that to my customers. Over the next few weeks I will be sharing a lot of the specifics that I learned at convention. I hope that you will take this opportunity to “stretch and grow”. PS. For those of you who did not attend this year they announced next year's convention. It will be March 21-23, 2013 at the Utah Valley Convention Center in Provo Utah. or “Costa Rica here I come." One of the best things about being a consultant is the opportunity to earn incentive trips. This year's trip is to Costa Rica. Look at the numbers. There is a chart (see below) that shows the breakdown for what you earn points for. I encourage you to look at the chart today and make goals for what you want to accomplish during the contest. Last year the winning consultants had 300+ points or more. That might be a good place to start your goal setting at. Last year a wide variety of consultants earned the trip. Platinum executives and mentors and everything inbetween went on the trip. If you got this e-mail you have the potential to go this year. Last year from my team 2 consultants earned the incentive trip. Both were brand new to the business. Be sure to study the point breakdown, it is different from last year. the contest is already active. It runs from April 2 to September 1. Be sure to make this month count! Break down your overall point goal to monthly and weekly goals. Go ahead and write them on your calendar. For example if you have decided that you want to sponsor 4 new consultants each month, that breaks down nicely to one consultant each week. Don’t put all your eggs in one basket. Choose a couple of things to work on. for example you receive points for sponsoring new consultants, for $100 Qs and hitting new rank advancements. Working on each of these things each month is much easier then sponsoring 30 new consultants all in one month. Get your parties going. If you are going to earn this trip you are going to need to be having parties. If you are in a slump then it is time to get moving. contact a customer who qualifies for the double dip. sign up for an event, expo, gun show or fair. Talk to your family. If you are going to be doing more parties than normal be sure to talk to your spouse/kids about what this is going to mean for them. Get them on board. Remember you get to take someone with you. Make sure to let them know what you are working toward. Plan for July. Okay let’s be honest. July is a hard month. No one is excited for parties the week of the 4th of July. So make a plan, what are you going to do in July to keep your business going? Have a booth at a local celebration. Host an open house sampling a new menu. Invite all of your local customers. Make it fun and informative. Last year Shelf Reliance had a great sale during July, which really helped. They might have a sale again this year, I don’t know, I haven’t heard anything about one. But don’t plan on it. Make the incentive trip a party of your opportunity commercials. Whenever you talk about becoming a consultant be sure to talk about the trip. It can be a powerful motivator for others to join. Make it fun. Reward yourself for each goal achieved. Points Task My Goal What do I need to do each month? One of the things that I will be focusing on is signing up new Qs. To do this I will be focusing on Qs at parties, but I also have a lot of online sales. Many of these people have not heard about the Q and don't’ know. I have decided to e-mail each person who purchased from my online store and introduce them to the Q. Below is the e-mail I’m sending. Feel free to use it or change it (remember to change your contact info and your URL). Hi there - Heather from Shelf Reliance here. Thank you for placing your Shelf Reliance order through my online store. 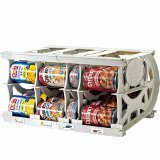 As a buyer of Shelf Reliance's products I'd like to invite you to try our free food storage planner. The planner is a free interactive way to develop a food storage plan for your family. The planner includes freeze dried options like fruits, vegetables, meats, and dairy, along with the traditional grains and dry beans. 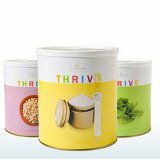 It is an easy way to evaluate the food storage you already have and plan for what you still need. By creating a plan that meets to specific needs of your family, you are better able to prepare for the future. The planner takes approximately 5 minutes to set up and modify. The planner makes it easy for you remove items you don't care for (in my case: lima beans) and add in foods you do like (mmmmm... freeze dried chicken slices). Once completed you can easily print, e-mail or add your products to a montly Q (allowing you to build your food storage over time within a set budget). Again - thank you for your purchase, if you have any questions please contact me directly at heather@teamshelfreliance.com.